Yes, I know, "IKEA horror story" is redundant. And yet, the TV adaptation of Grady Hendrix's Horrorstör sounds so demented that it might be completely awesome. 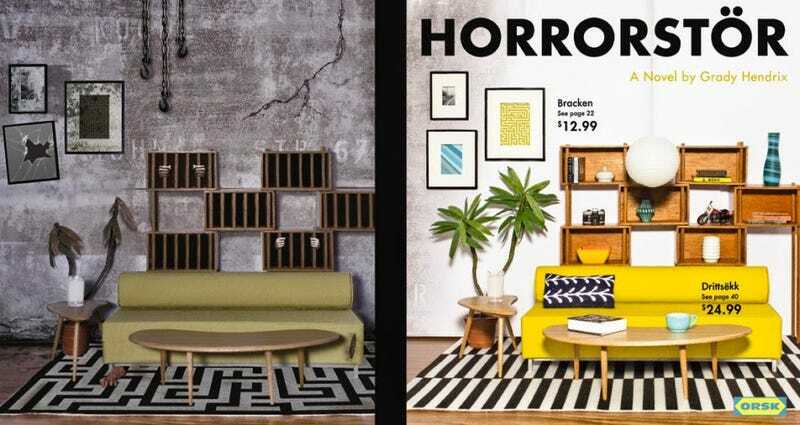 Horrorstör is a novel set in Orsk, a very IKEA-like store. The book itself is in the style of a catalog, complete with order forms and instructions, and tells the story of employees who find their store trashed every morning. A group of them decide to get to the bottom of it and spend the night in the store, facing the evil that lives there. The book's rights have just been bought by The Jackal Group, a co-venture between Fox Networks Group and Gail Berman. Which makes sense, this is weird enough to fit very well on FX, right up near American Horror Story. I really hope it gets the weird treatment it deserves. It's one set, they can devote most of their production values to making it a dead-on perfect big-box store and to the horrors it contains. Let's make them the new cabin in the woods in the popular consciousness. Because, honestly, tapping into the psychology of being in one of these giant stores with just a few other people, at night, is great. I want this to be good, creepy, and weird so much.